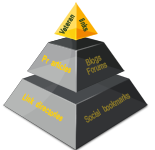 An elder domain is more reliable for search engines. That means a huge advantage on search result lists. Search engine optimization is one of the most cost-effective solutions to gather new clients. PR articles with embedded links are published every three days. Put yours on 15 sites in 45 days. Unique PR article creating in accordance with the topic or the message of your website. Unlike many SEO companies we do not put our link to your website, so your competitors will not recognize it. Reduce online marketing costs If you spend less on advertising, you can provide your products at a more favorable price. Get a better position on google Safely We never use such SEO techniques that can bring google penalty. Many potential buyers for your website We help to find the most popular keywords and optimize your site for them.